Meco manufactures and supplies selective plating equipment to suit a wide variety of products and finishes. Over the years, these machines have earned an international reputation for performance excellence, outstanding reliability and unbeatable economy. 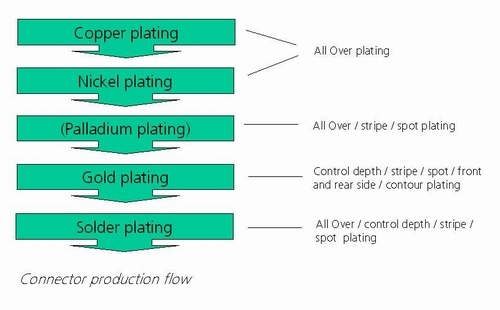 For the connector market Meco supplies a number of patented techniques to improve your plating process on selectivity, productivity and flexibility! 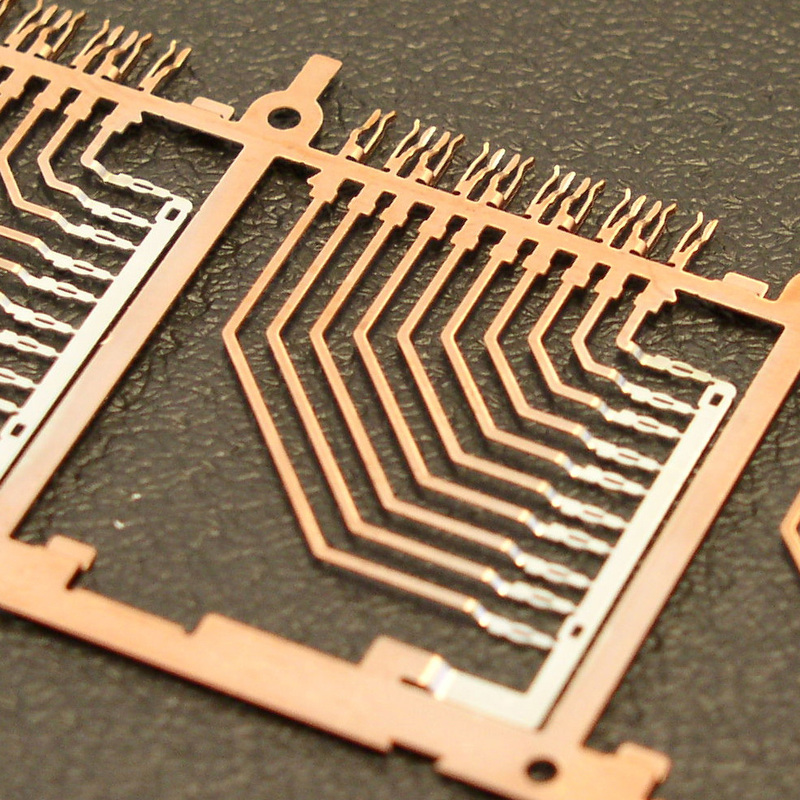 In general, copper and nickel finishes are usually applied by all over plating. 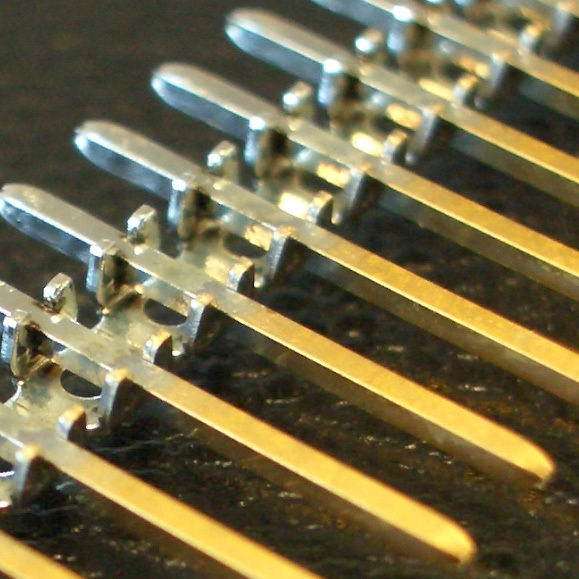 The more precious metals like gold or paladium are selective plated on only the functional areas of the connector by a number of different techniques like control depth plating, stripe plating, spot plating, front & rear side plating or contour plating. 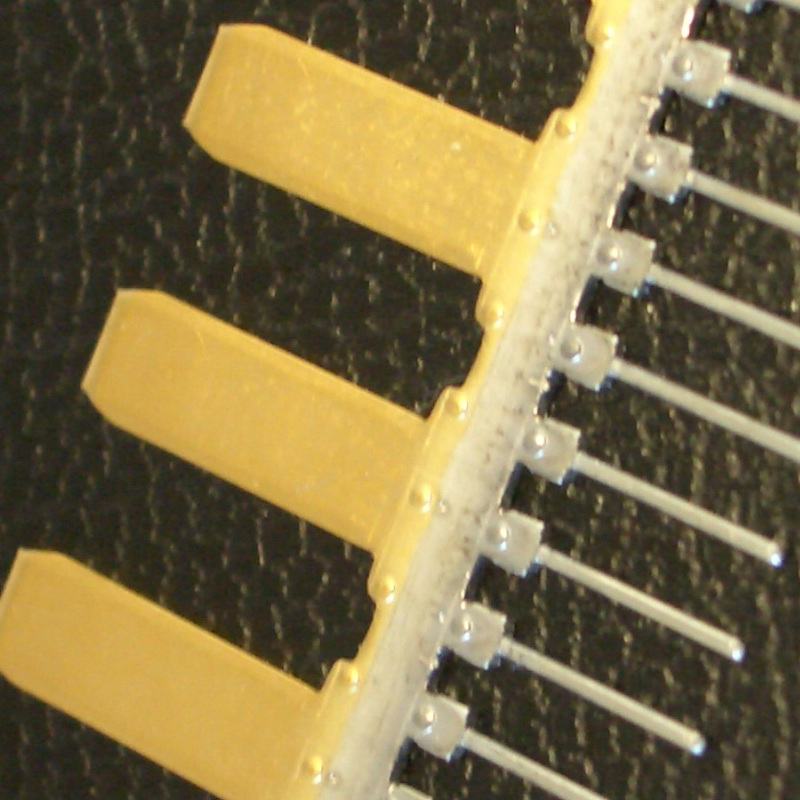 Finally the solder finish area of the connector is plated by control depth plating, stripe plating or spot plating.